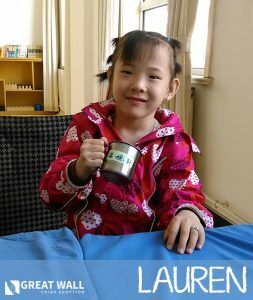 Lauren is a sweet 6-year-old girl in need of a forever family! 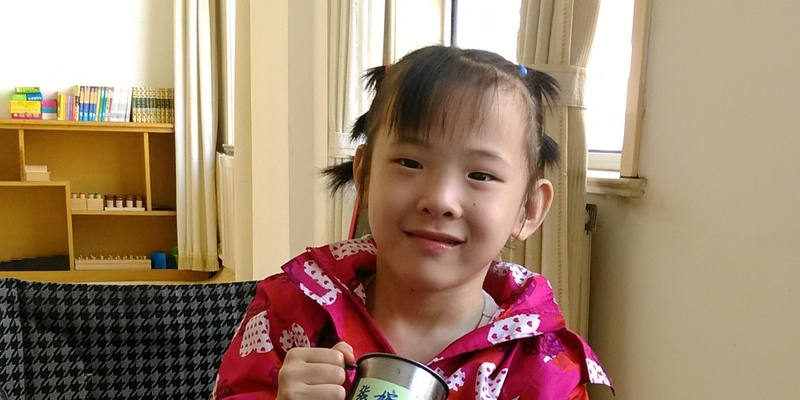 She has cerebral palsy and is in daily rehabilitation therapy. Lauren can get around well using her walker, dress herself, wash her hands, and complete other tasks independently. She’s described as a kindhearted, selfless little girl who always puts others first. She enjoys helping care for the younger children in the orphanage. Also, Lauren is intelligent and is cognitively on track. She can recite poems and have full conversations with adults. She’s a happy girl who loves to sing and laugh. Lauren is always able to brighten up her caretaker’s day. Please reach out to us at GWCA to learn more about this special girl! 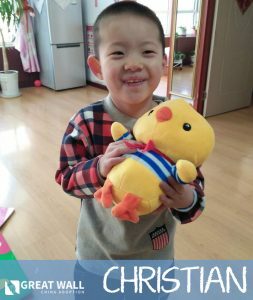 Christian is a precious 6-year-old boy with a need related to his fine motor function. He’s in daily rehabilitation and has made great strides with his fine motor development! His caretakers note that he’s very skilled and has improved in small muscle exercises. Christian can run, kick and pass a ball, and ride a bike. He’s able to express his needs and can speak in simple sentences. He’s a self-independent boy who’s very helpful around the orphanage with cleaning and housework. His favorite thing to do is play games with his friends. He would thrive with the love, care, and support of a forever family. Please reach out to us at GWCA to learn more about him! Clayton is a precious 2-year-old boy who was born with abnormal development of his skull, hands, and feet. Despite that, Clayton can pick up items with his hands, stand alone, and walk a good distance when holding his caretaker’s hands. He’s in the babbling stage of language development, responds to his name, and can recognize people. Whenever he sees a familiar person, he’ll crawl over to them and reach out for a hug! 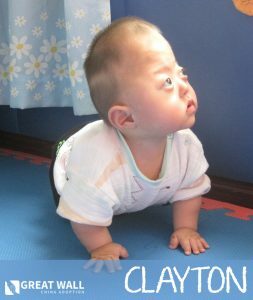 Clayton is an outgoing, active, and energetic child who loves to giggle and play games with others. Clayton will bring much joy to his forever family! Please reach out to us at GWCA today to learn more about him! Patrick is an adorable 3-year-old boy who was born without a right ear. However, it does not affect his ability to hear. Patrick can walk independently, say simple sentences, and understand caretakers’ instructions. He’s an outgoing and active little boy who’s happiest when playing with toys, eating treats, and singing and dancing to music. 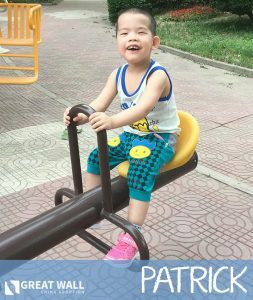 Patrick would thrive in the home of a loving forever family. Please contact us at GWCA today to learn more about him!